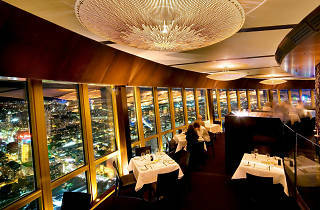 For the loftiest dining experience in the city head to the revolving summit of Sydney Tower. 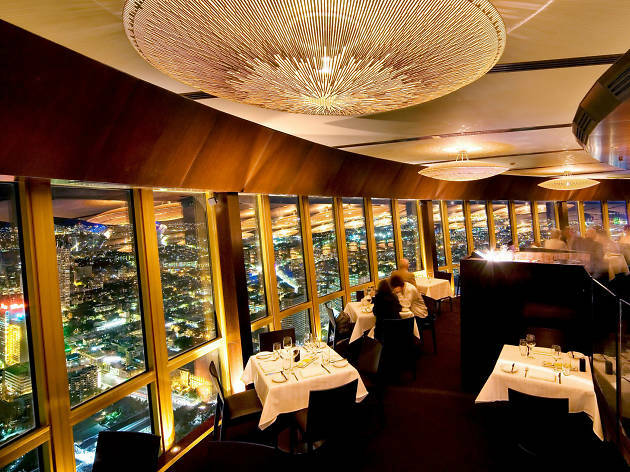 They're doing modern Oz dishes, all set among extravagant hand-carved pendant light sculptures and a rotating backdrop of Sydney. Start with entrées including oysters with cucumber, basil and wasabi foam; or seared scallops with roasted strawberry, prosciutto and black pepper pangrattato. Then move onto mains of confit pork belly, pork fillet, black pudding, lentils abd a pine nuts purée; or pressed lamb neck, green pea purée, asparagus, broad beans and charred leek.